When are Special Olympics competitions? There are several events held throughout the year including five State Games plus many special events and area competitions. To view upcoming events, visit our calendar. What are the volunteer age requirements? We welcome volunteers eight years of age and older. Anyone is welcome to come be a Fan in the Stands to cheer on the athletes at SOWY events. If you are interested in volunteering for a single day event, you can register online. For Coaching/Unified Partner (an athlete without intellectual disabilities) volunteer opportunities, please visit our Become a Coach or Unified Partner (an athlete without intellectual disabilities) pages. What is the Protective Behaviors Training? Protective Behaviors is a training program for volunteers to help prevent the sexual, physical and emotional abuse of Special Olympics athletes. It consists of an online training, followed by a 10 question test. To complete the training, volunteers must correctly answer 10 out of 10 questions. After you have finished and submitted the test, a confirmation email will be sent to you and SOWY, who will keep a record of your training. Click here to complete the Protective Behaviors training. Do I need to take the Protective Behaviors Training? We highly encourage ALL volunteers to complete the training because it is an excellent guide on how to look out for and prevent the abuse of our athletes. It is MANDATORY that all Class A volunteers, 16 years or older, take the Protective Behaviors Training. Class A volunteers are defined as volunteers who have regular, close physical contact with athletes; volunteers in a position of authority or supervision with athletes; volunteers in a position of trust with athletes; volunteers who handle substantial amounts of cash or other assets of the program. How often do I need to complete the Protective Behaviors Training? Training needs to be completed every 3 years, along with your application or renewal application. SOWY records everyone that has completed the training and the information is kept in our database. Where can I see a list of upcoming SOWY events that you need volunteers for? Visit our Become A Volunteer Page to see volunteer opportunities that you can volunteer for. You can also sign up to receive the SOWY Program Update, which lists updated volunteer opportunities. You can also contact the Director of Field Services by email or phone 307-235-3062 if you have any questions. How do I volunteer with an area program close to me? Visit our website to register online for a local event or contact your Area Coordinator for a list of local opportunities in your area. How do I become a SOWY coach? To become a coach, you must be certified through SOWY in the sport that you wish to coach. If you are interested fill out the Volunteer Interest Survey. If I am already a coach, how often do I need to renew my Class A volunteer application? Class A volunteer applications expire 3 years after your initial application date. What is the time commitment for volunteering at an event? Volunteer shift times vary depending on the event. Schedules are always flexible before an event as long as the volunteer notifies the state office before the event. What is the difference between a State Game and a Special Event? The State Games are Olympic-type competitions that are held five times a year. The events included are comprehensive, thus the need for many volunteers to help with competitions and social activities. The State Games typically require anywhere from 50 volunteers to 100 volunteers. Special Events are state fundraising events that Special Olympics Wyoming hosts. We typically need fewer volunteers to host these events. We appreciate your interest in volunteering for any and all of our events. Events are held throughout the five different area programs across Wyoming. State Games and Special Events are held throughout the state. How can I get a group/my company involved? 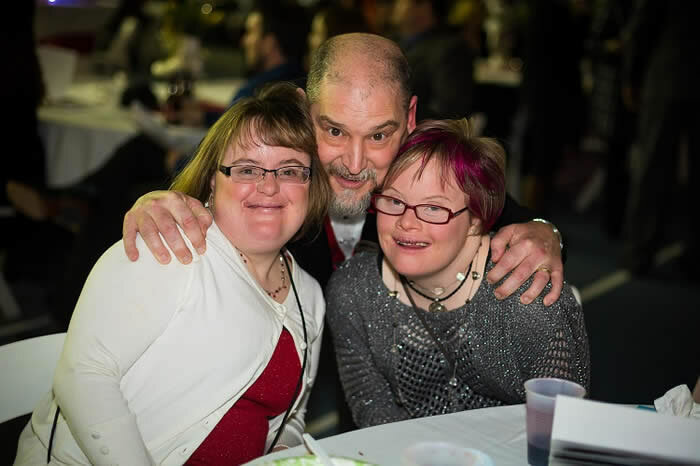 We are always looking for groups and companies to get involved with Special Olympics Wyoming. Certain events, like the State Games, are very large and require more volunteers than some of our local competitions or Special Events, so we encourage you to seek out opportunities for those events first. You can register a group online or contact the Director of Field Services by email or phone 307-235-3062 to get your group involved. If you are interested in sponsorship opportunities, click here. I need to keep track of my volunteer hours for school, work, etc. How do I get a record of my volunteer time? You can bring a volunteer form with you for someone to sign at the event or you can contact the Director of Field Services by email or phone 307-235-3062 after the event and we will send you a letter with your volunteer hours.